Your Cedar Hill, TX Dentist. Call us at (469) 736-0111 today. Here at SpringCrest Dental, we see our patients as a great joy and a great responsibility. We know that helping people have healthier mouths extends far beyond just how white their teeth are, and we know that our work is important. Family dentistry is the backbone of what we do here in Cedar Hill, TX, with services ranging from teeth cleanings to implants and clear aligners. We work hard to make sure that every visit is individualized to meet your needs. We offer the best in both dental technology and dental patient technology. What do we mean by that? 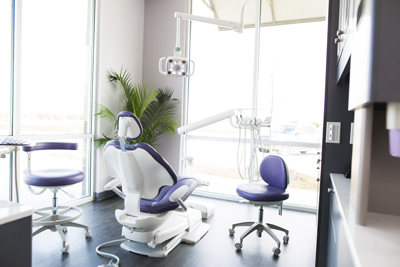 Well, not only do we have the latest and greatest equipment for performing dental work, but we also have comfortable patient dental chairs and TV sets mounted on the ceiling for entertainment. What was potentially a boring dental visit will go by so fast you won't believe it when you are watching your favorite movie or show! Our computerized fast check-in system is paperless, and easy to use. Our digital x-rays are over quickly while providing great results. We know that comfort is important and that your time is valuable. If you are concerned about the cost of our dental care, give us a call. We work with every patient to make our services as affordable as possible. Both Care Credit and Lending Club are accepted here to give you a bit more time to pay off the bill. Other in-house financing options with flexible payment terms are available as well. Extended hours allow us to serve you when you are available. We know that many people work 9 to 5, and having your dentist be open only during these hours makes it nearly impossible to go. However, you don't have to skip your visits to the dentist because you can't afford to take time off work. SpringCrest Dental opens early (at 7 a.m.) on Tuesdays, stays open late (until 7 p.m.) on Thursdays, and can even see you on some Saturdays! We know that you don't want to go to the dentist, but we promise to make it as easy, comfortable, and affordable as possible. Your smile will thank you for taking the time! We are now accepting new patients in Cedar Hill, TX, and surrounding areas, and look forward to hearing from you. Whether you want your teeth whitened or you need to deal with a persistent toothache, we can help you out. Serving all areas of South Dallas including: Cedar Hill, De Soto, Duncanville, Mansfield, Midlothian, Red Oak, Glenn Heights, Ovilla, and Lancaster. 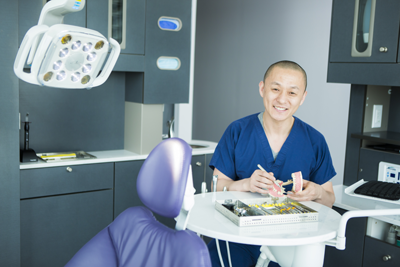 Dr. Lim is originally from San Francisco, CA where he attended the University of California San Francisco to earn his Doctor of Dental Surgery Degree.